You can receive desktop notifications from your browser to let you know when Message needs your attention, even when you're working in a different window. Select the Admin icon in the sidebar, then select Personal. 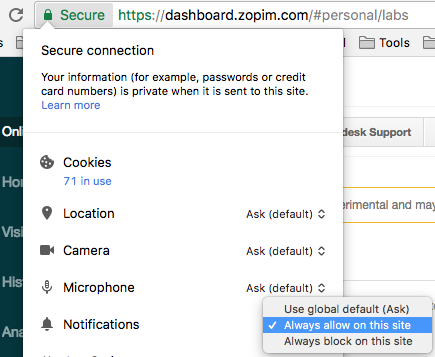 In addition to notification settings in Message, you should also make sure Message has permission in your browser to send notifications. In Chrome, click the Secure icon to the left of the address bar, then choose Notifications > Always allow on this site. For other browsers, consult the browser-specific documentation for instructions on allowing notifications.